Architectural design: Hetedik Műterem Ltd.
With the remake of a partially unused hall and lab building we imagined a modern building complex with basketball courts, four squash courts, and fitness rooms. 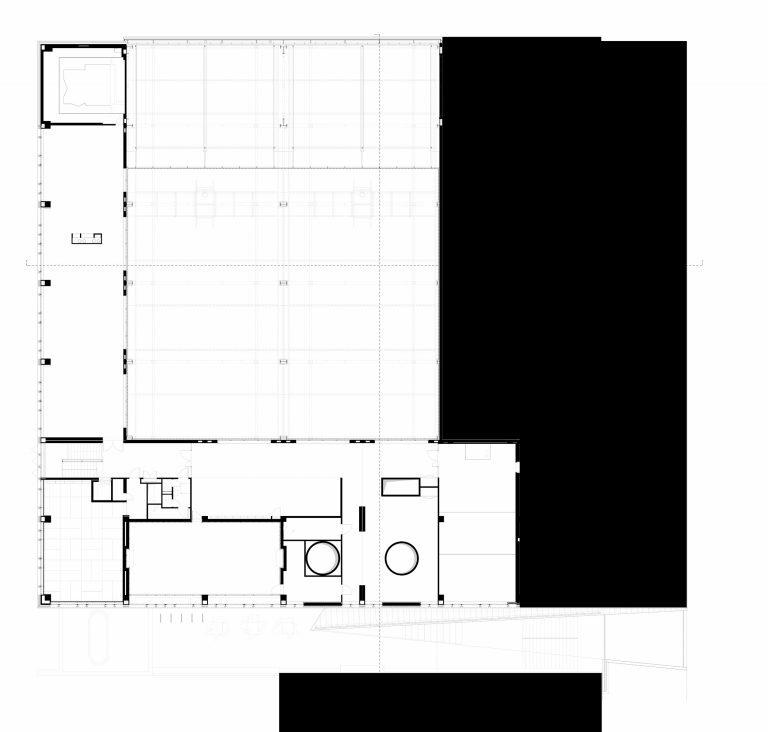 Our essential concept was to exploit the extant building-structure so that it would be fitting to the altered functions of the building – we created new layers hiding the required new technical installation. As regarding the building’s external appearance we did not wish to continue the 40 year old architecture, but to complement it. A “prothesis” covered by fiber-cement emphasises the entrance as it is slightly creeping on the facade from the street towards the foyer. 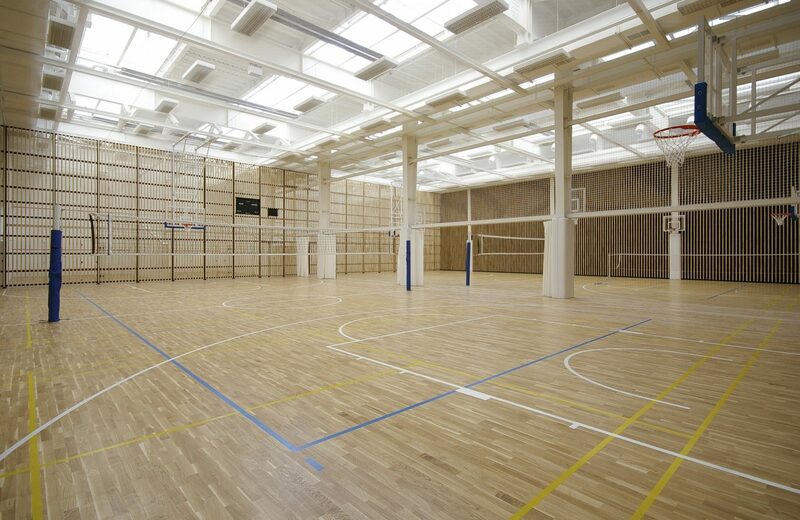 Sports halls are situated in the former crane hall wadded by a homogene wooden structure all around. Although, this separates different functions (squash courts, gym, hall), it allows transparecy and look-throughs beetween spaces.